Generation Y's Entrepreneurial Success and Credit Cards: What's the Connection? Generation Y is known for its entrepreneurial spirit. Just look at Google, Youtube, Facebook, and eBay. On average, their founders were 24 years old at the time they started their wildly successful businesses. These individuals aren’t outliers either. Instead, they’re representative of the time in which they rose to prominence. They reflect the findings of a recent survey of 18-29 year olds conducted by Buzz Marketing Group—a company that specializes in providing information about young people to companies. These findings indicate heavy entrepreneurial leanings among this demographic as well as a feeling that neither the government nor banks do enough to support young people. While I can’t do much to directly influence government or bank policies, I can provide some financial guidance for young entrepreneurs aspiring to create the next Microsoft or Facebook. To start, you must not let the Great Recession cause a distrust of credit cards and other traditional financial products and institutions. While irresponsible lending and shady practices did lead to widespread overleveraging, many of the ills that plagued the nation’s financial landscape have been cured. This is especially true in the credit card space after the new credit card law (CARD Act) took effect in February 2010. Still, if you use a credit card to bankroll your entrepreneurial dreams, there are a few measures you must take in order to foster positive results. First, it only seems natural that you’d use a business credit card for business spending. However, you must not stop there. 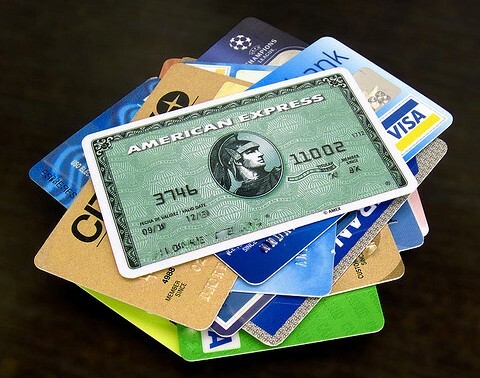 Business credit cards are not covered by the CARD Act protections that make it illegal for credit card companies to increase your interest rate on your existing balance unless the Prime Rate goes up or you become 60 days delinquent. As a result, you should use a general-use/personal credit card for any purchases that you will not be able to pay for in full by the end of the month. This will provide necessary debt stability and will help lower the already high stress of running a start-up in tough economic times. It’s important that you use a business credit card for all other purchases though. These credit cards provide unique business tools that allow you to easily and effectively manage and track business spending. In addition, they allow you to set and freely change the spending limits on each of your employees’ company credit cards and earn rewards on their purchases. The CARD Act serves as the basis for my next piece of advice as well. This credit card reform legislation instituted regulations that make it more difficult for adults under the age of 21 to get credit. However, the importance of having solid credit history did not diminish. It’s as important as ever to getting an apartment, renting an office space, applying for certain jobs (possibly in another startup) and/or getting a loan. Therefore, you need to start building your credit as early as possible. But, how is this to be achieved under the current legal landscape? Well, there are two ways: you can get a co-signer or you can demonstrate proof of income. The reasoning behind the CARD Act’s limits on credit available to young adults is that this demographic is naturally prone to overleveraging. However, each of the aforementioned options largely assures that credit users will be able to pay, thereby easing the concerns of creditors and allowing you to build credit. While it might be difficult to get someone to co-sign for a credit card, opening a secured credit card might lessen this burden. Secured credit cards make it impossible that you’ll spend more than you can afford since your refundable security deposit equals the credit line of the card. Finally, have a damn good idea. 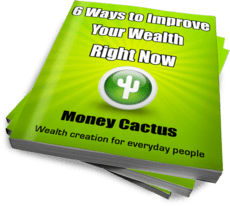 No matter how well you manage your business’ finances, you’ll have a tough time succeeding without an idea to build upon. Think about it; the founders of Google, Youtube, eBay and Facebook all have a few things in common: they’re young, intelligent, driven, and they had excellent, unique ideas. Without these ideas, who knows where they would be. Ultimately though, it’s what you do with your idea. In most cases, implementation is even more important than the idea itself. While credit is only a small part of the overall execution, it is an important if a credit card is going to be your main funding vehicle. So, take this advice to heart and you’ll be that much closer to entrepreneurial success. This article was written by Odysseas Papadimitriou, Founder and CEO of CardHub.com, a website that helps consumers find the best credit card deals and operates the nation’s first social gift card exchange.